When machining different parts in the past, it was always necessary to replace the robot gripper with each specific clamping fixture. 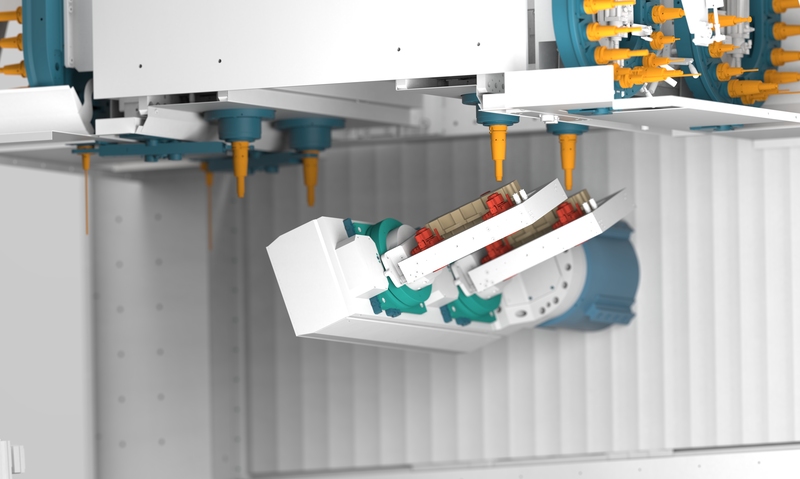 ANGER is set to change that situation, however, and bring complete flexibility to production with its new "Industry 4.0-type" loading concept. 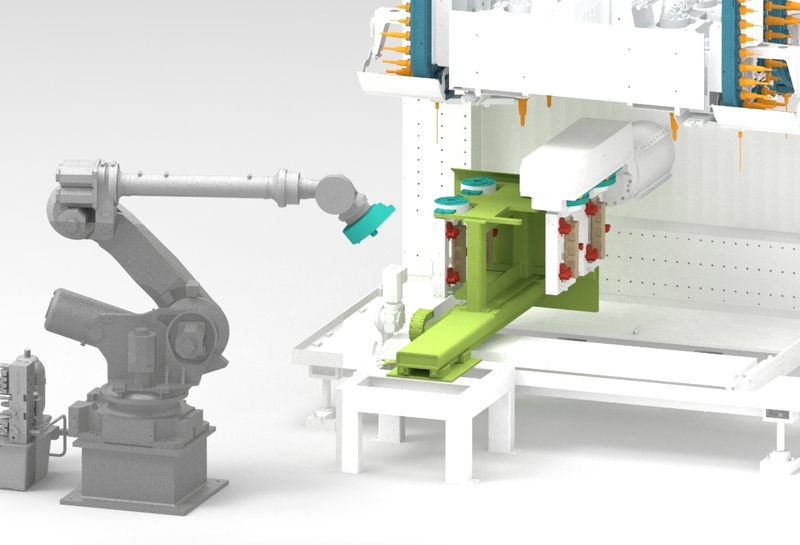 A universal robot arm & machine table interface makes it possible to machine different parts or operations in one machine (e.g. pre-machining or fine machining) without the need for manual retooling or conversion. The new ANGER clamping fixtures SmartFix are fitted with a universal interface. 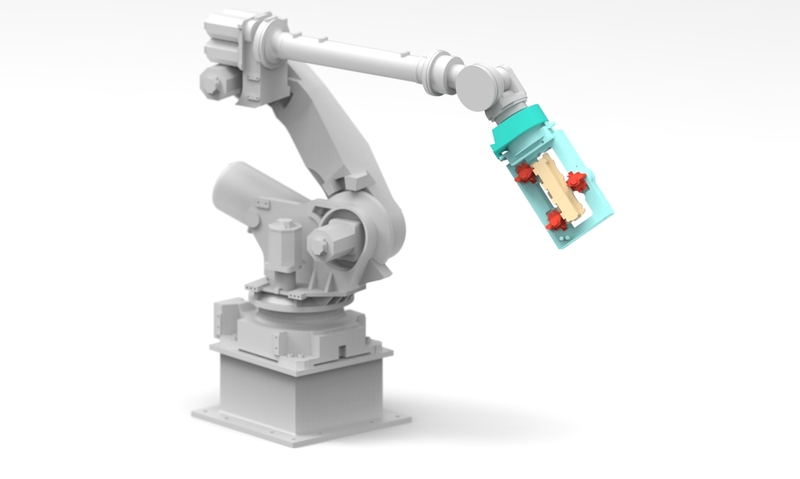 On the robot, the clamping fixture also becomes the gripper that picks up the raw parts and hand over the Smartfix to the machine by the use of a loading shuttle. This robot then places the parts on a shuttle, which loads the machine. On the machine table, the clamping fixtures are then picked up for machining via the same interface. "Changeover" to other parts is fully autonomous and does not require any form of manual intervention whatsoever. This means not only that conversion (retooling) can be done during the machine's cycle (e.g. "chaos operations"), but also that any subsequent changes made to the part will only affect the clamping fixture for the part in question. New parts only need one tool change.